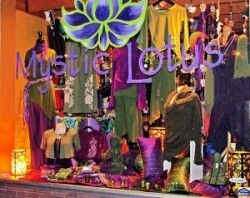 Mystic Lotus has been travelling and purchasing fairly-traded and ethically-made goods from South-East Asia since our inception, close to 15 years ago. Through building direct relationships with our artisans in Nepal, India, Thailand and Indonesia; we are able to help design and hand craft these items to bring the very best of them to you. We believe in GLOBAL GIFTS FOR GLOBAL PEOPLE. Help support Fairly Traded Business Practices. Drop by for a visit....we are so MUCH more than you expect!!! !